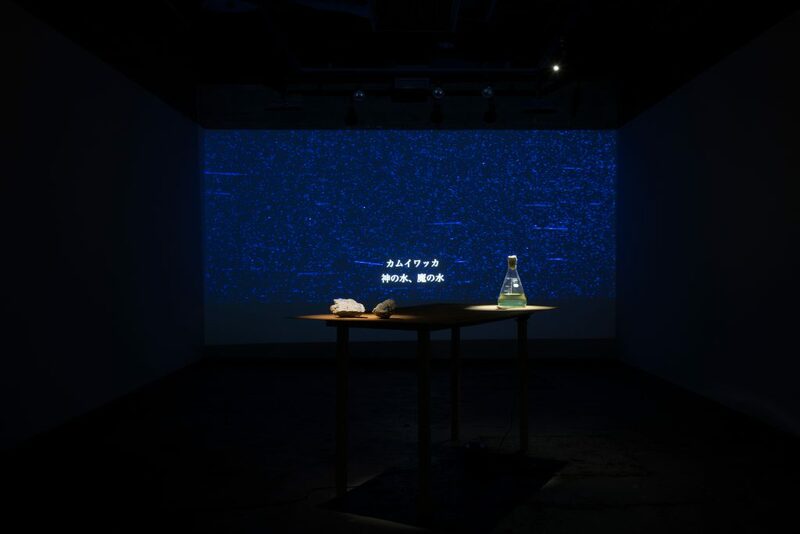 In January 2018, upon visiting Shari, Hokkaido by chance, I came to know about the Kamuy-Wakka Waterfall located in the Shiretoko Peninsula. 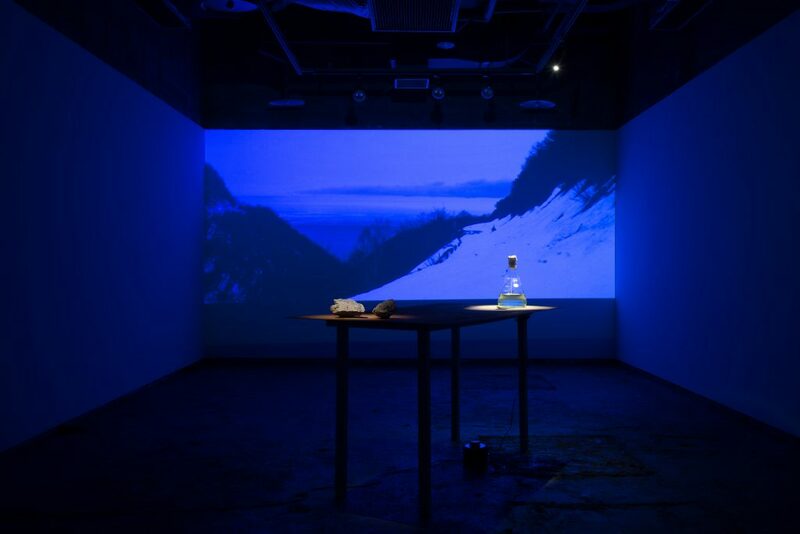 The Ainu people who used to live in the area referred to the highly acidic, hot spring water, which flows from the Mount Io (sulphur mountain), as “god water” and worshiped it. 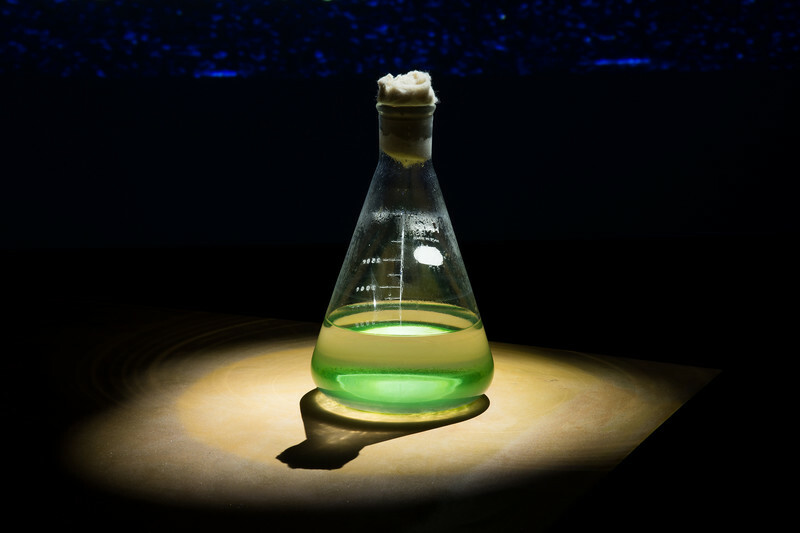 They also referred to it as “evil water” and feared it. Attracted by the double-sided spirituality that the word represents, I started researching about the waterfall and found out that there is a creature living in the waterfall, which was said to be a lifeless environment. In March 2018, I decided to visit Shiretoko Peninsula, which was closed off by snow, and head to Kamuy-Wakka Waterfall by foot, to see the creature living in the god water and the evil water. 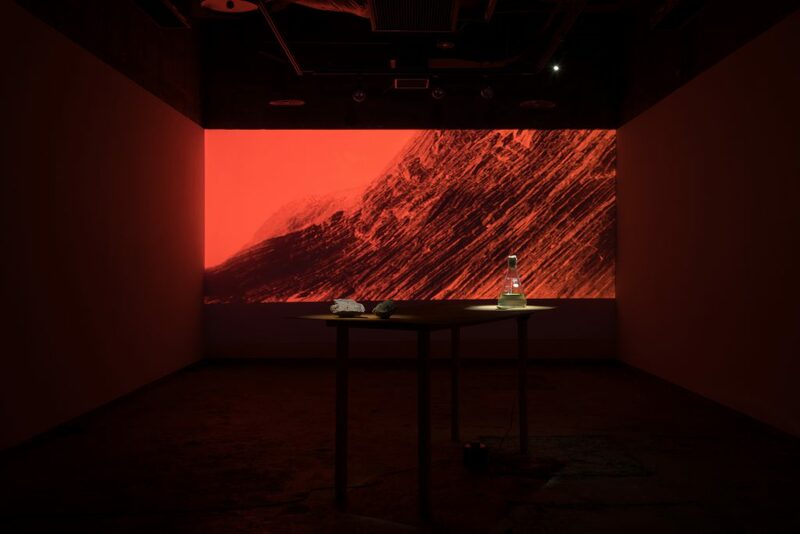 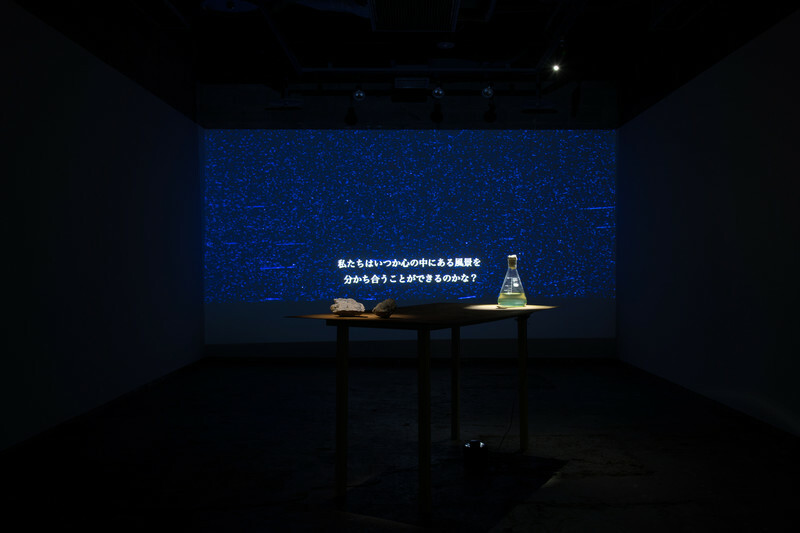 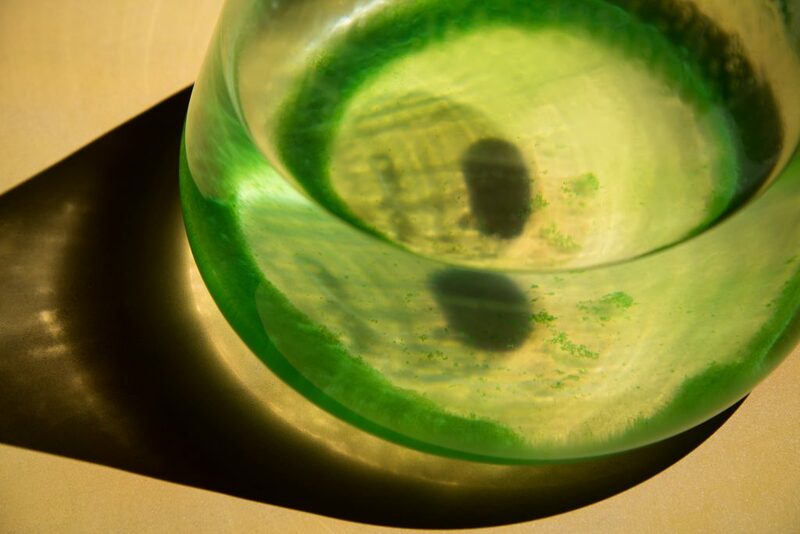 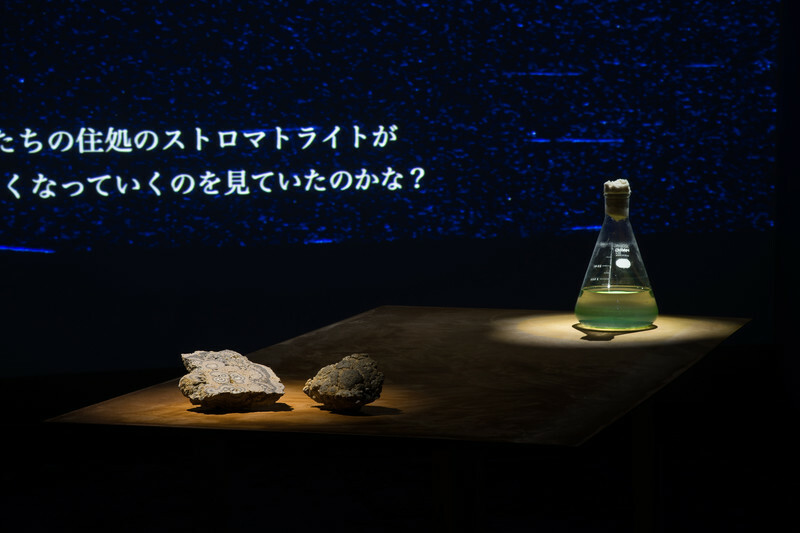 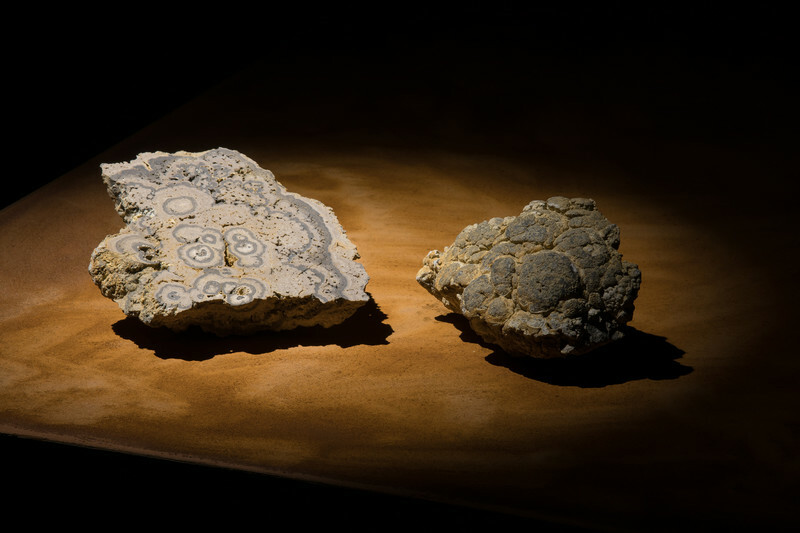 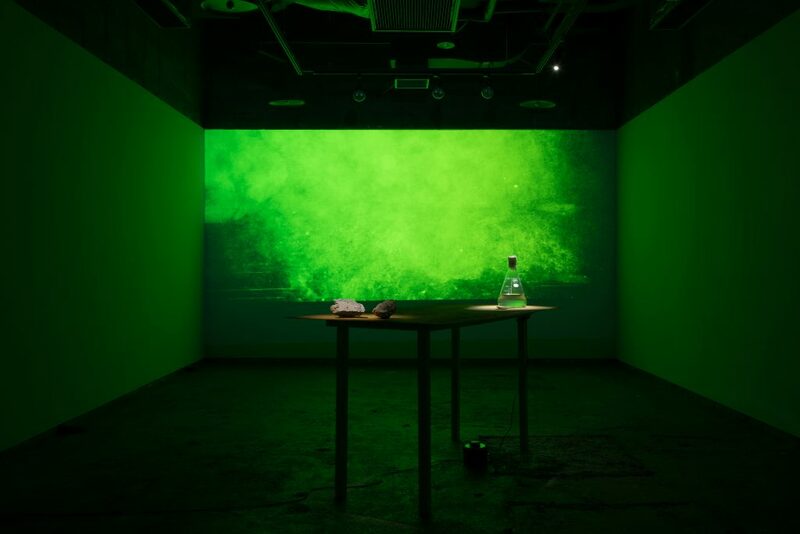 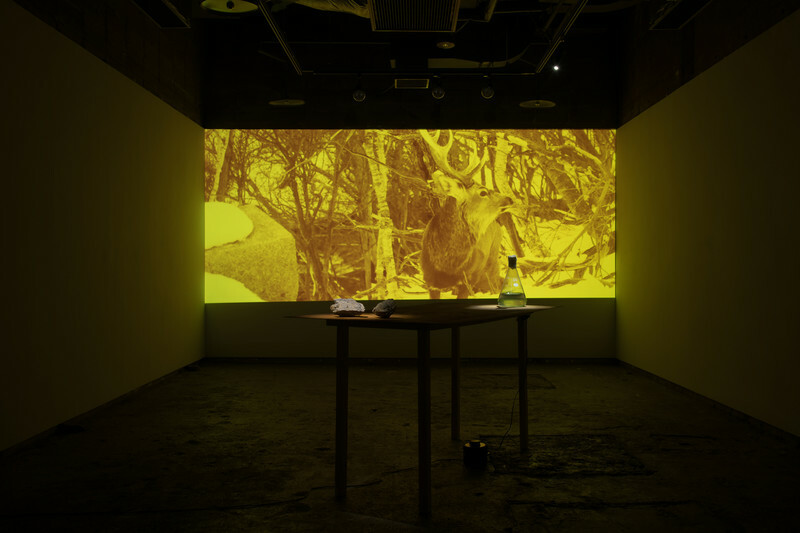 The work is a video, which is based on my journey to the waterfall and the conversations I had with scientists during my research, and a sculpture composed of stromatolite; an approximately 20 billion-year old fossil as a part of the Hokkaido University Museum collection, Cyanidium Caladium; algae that I collected from the waterfall and the scientist has cultivated, and a rusted iron plate. Through the work, I attempted to express the matters, which exist beyond the limits of human territory and senses, and our fundamental desires and longings to reach those unreachable matters and share them with others while reflecting on the roles of art and languages.